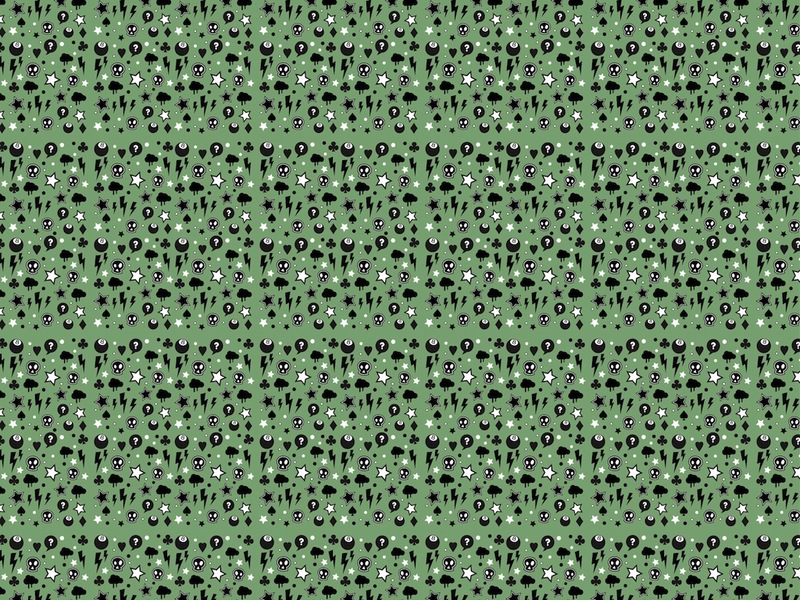 Vector graphics of a seamless pattern with many small symbols related to street art and underground culture. Solid color background with small icons of skulls, stars, hearts, eight balls, paint blobs, lightning and card symbols. Free vector illustration for all kinds of wallpapers, backgrounds and clothing prints. Tags: Clothing, Pattern, Print, Punk, Seamless Pattern, Skulls, Stars, Symbols.